Need a gift bag, knitting or crochet bag, lunch bag... lingerie, shoe, make-up, scrap, button, or little bag for any other reason? Sew up a delightful Drawstring Ditty Bag! This easy unlined bag tutorial features an optional sturdy false bag bottom that you can make so that your little bag always keeps that cute shape. Each bag uses 2 (or 3) fabrics (if you count the false bag bottom), and can be cinched up with your choice of drawstring materials. I used pretty leather cording and pony beads, but you could also make DIY drawstrings or use narrow ribbon or cotton rope. Don't skip the false bottom - it adds such a cute and professional touch! The finished dimensions of the bottom of the bag are 6'' x 8'' and it stands about 9'' tall. 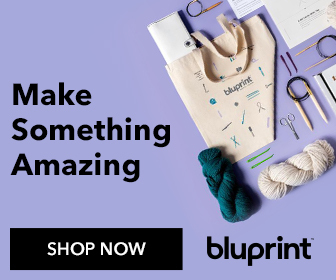 Are you ready for this easy sewing project? 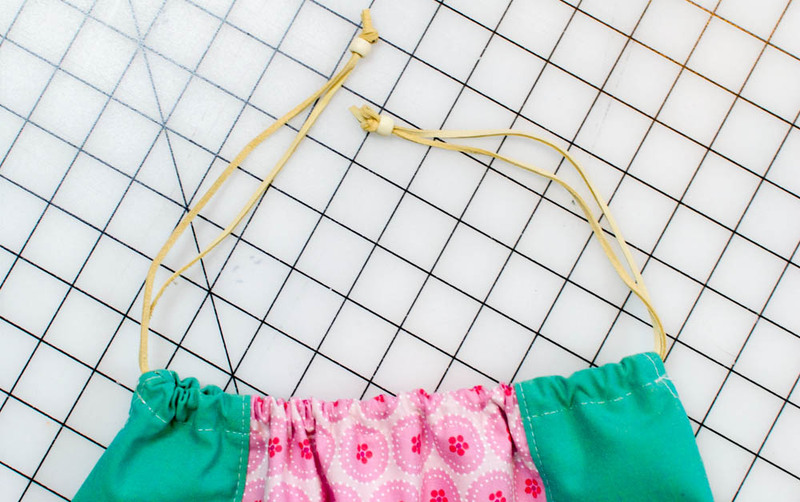 Let's make a Drawstring Ditty Bag! 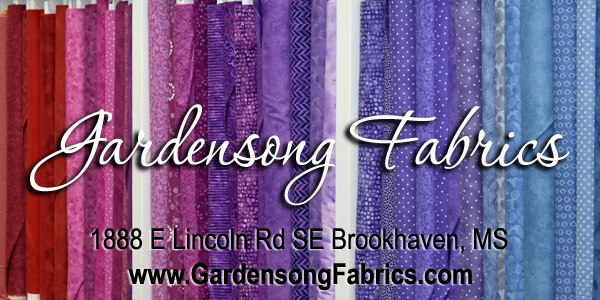 Tip: if you are using non-directional fabric (and not a FQ), you may cut one continuous piece that is 8 1/2'' x 27 1/2''. Then skip Step 1 of 'Sewing the Bag' below. Start by making the false bag bottom using my free tutorial. 1. Pin and stitch the 8 1/2'' edges of the bag front, back, and bottom pieces right sides together with the bottom piece in between the front and back pieces. Finish the seams with a serger or zig zag stitch. Tip: This will make a long 8 1/2'' x 27 1/2'' bag body piece. If you cut this long piece to begin with, you can skip this step. 2. Pin one of the 11'' x 3 1/2'' side pieces to a corner of the bag body piece as seen above. Sew together along the long edge only. 3. Repeat to sew all of the bag side pieces to the long bag body piece. Finish the seams with a serger or zig zag stitch. Press the seams toward the bag body. 4. Topstitch 1/8'' away from the seams on the side pieces. 5. Working on the inside of the bag, measure 2'' down from each corner and place a pencil mark on the side piece. 6. Finish the remaining long edges of the side pieces with a serger or zig zag stitch. If you can't see your pencil marks that are 2'' down from each corner, re-mark them. 7. To make the casings, fold both top edges down by 1/4'' and press, and then by another 1/2'' and press well. 8. Fold the bag at the bottom, placing the top and side edges together. Pin the sides from the pencil mark down. 9. Stitch the bag sides together along the finished edges, sewing from the pencil mark down. Stop at the corner and backstitch (do not turn). 10. Press the side seams open, continuing up to press the finished edges at the top (the 2'' that are not sewn) to the inside by 1/4'' too. 11. Flatten each corner and pin the side to the bag bottom (right sides together). Pin and stitch. Finish the seam. 1. Sewing on the outside, stitch a scant 1/4'' away from the pressed edges at the top sides of the bag. You can simply sew down one side, pivot, sew across the seam, pivot again, and sew back up to the top. 2. Working from the inside, re-fold the pressed casing (or re-press if needed). Stitch the casing along the long edge only sewing close to the fold. Repeat for both the front and back casings. 3. Cut two 30'' drawstrings. 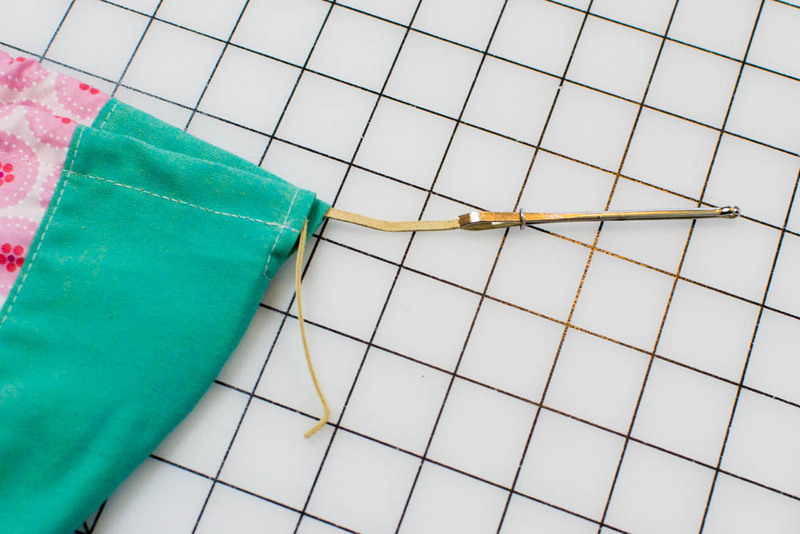 Use a bodkin to thread one drawstring through one casing and then back through the other casing so that both ends of the drawstring are on the same side of the bag and about the same length. 4. Thread both ends through a pony bead (optional) and make a knot close to the ends. Insert the false bottom and your Drawstring Ditty Bag is done! If you make this free pattern, please tag me on Instagram @SewCanShe and let me know what you are using it for! 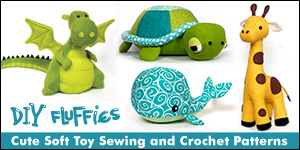 Check out all my other Free Sewing Patterns too!